“You mean this is a natural high I’m feeling?” He leaned in to take a closer peek. 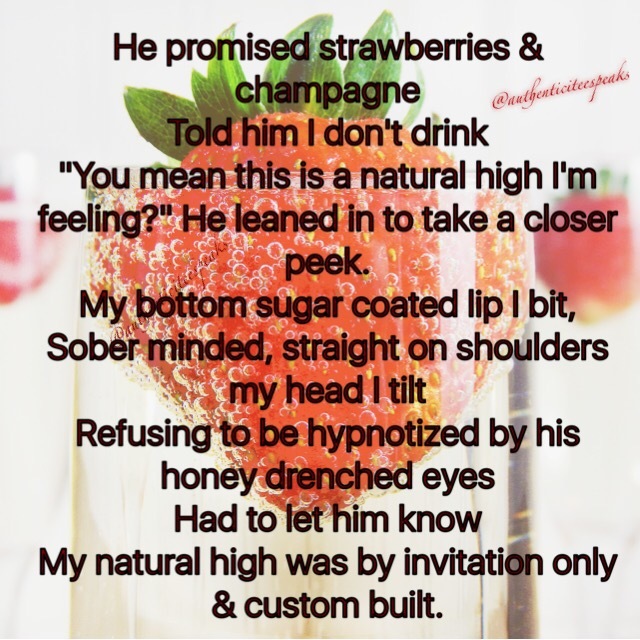 My natural high was by invitation only & custom built. Your world is breathtaking, can’t believe I’m your Special Guest. It means everything to me that you got that off your chest. Thank you for letting me in but please don’t disappear. There’s something about your voice vibrating in my ear. Every time you come close I get apprehensive. The air thins, my soul mends, I then become pensive. Truth to be told, I’m scared too. You absolved me of my past; you’re too good to be true. My heart’s a bit fragile and in some places bruised but it only starts beating when I think of you. 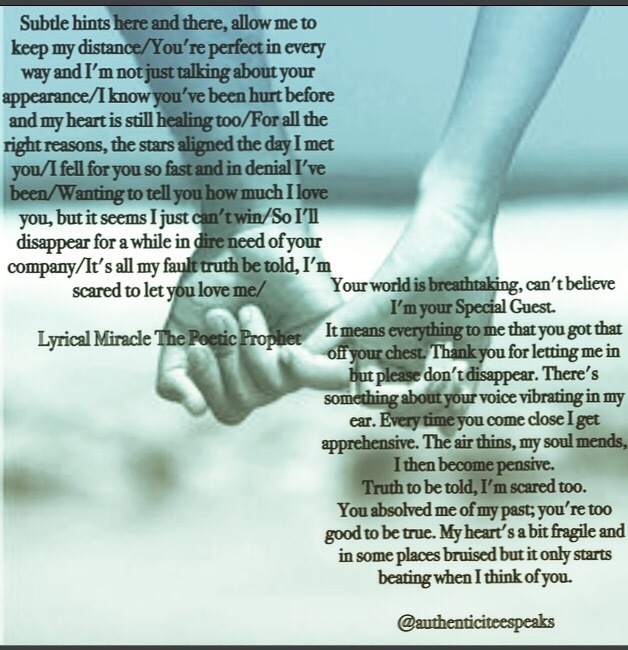 You are so talented with your poetry. I haven’t seen you for a while. My loss. Thank you so much😌 Beyond grateful!